Two weeks ago, the Parliamentary Joint Committee of Intelligence and Security (PJCIS) delivered its much anticipated report  on the controversial proposal to strip Australian citizenship from dual nationals involved in terrorism. The PJCIS has done a good job in reviewing the problematic draft legislation and providing a workable solution to stripping citizenship where it’s in the national interest. 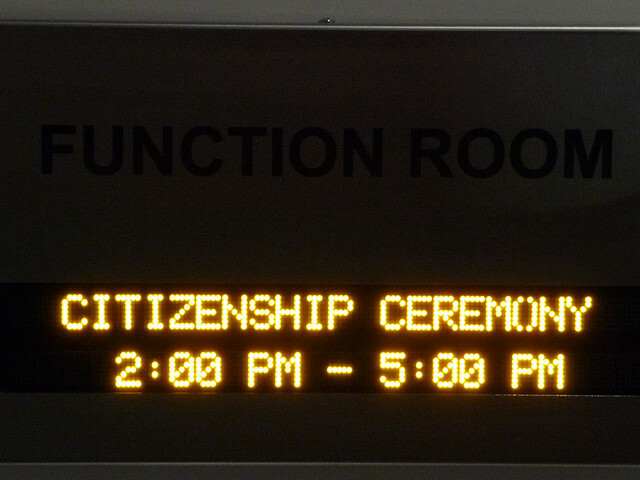 The Committee affirmed the Australian Citizenship Amendment (Allegiance to Australia) Bill 2015 is both necessary and appropriate . But it recommends substantial changes to the original draft. In its report, the Committee has achieved useful balance in examining a complex issue, methodically navigating its way through relevant administrative, criminal, constitutional and international law. It also considered more philosophical questions of citizenship, treason, allegiance, national identity and values. The inquiry closely examined three issues of concern : the self-executing or automatic loss of citizenship, the lack of natural justice through access to appeal and review mechanisms, and the broad grounds for citizenship loss extending beyond criminal convictions for terrorism. Sensibly, the Committee has taken on the first two concerns. It’s recommended amending the Bill to better align with existing Australian administrative and judicial arrangements, informed by similar mechanisms for terrorist-related loss of citizenship in comparable countries such as New Zealand , Canada  and the United Kingdom . Loss of citizenship should, it recommends, occur following an appropriate process of information collection and consideration by the Minister for Immigration and Border Protection of numerous issues affecting the Commonwealth’s responsibilities. Those range from the terrorist threat level, whether the person is a child, whether they can access citizenship rights in the other country, and the relevant international security and humanitarian conventions—including if they’re optional. The Committee chose to retain strong administrative processes in the use of intelligence: it rejected the proposal to exempt ASIO security assessment advice from citizenship loss. If intelligence advice is to be used to strip citizenship, it’s important this remains in the established legal form of a security assessment, which provides unambiguous advice on the specific question of citizenship and access to appeal. On the grounds for citizenship loss, the Committee has reinforced the executive’s existing role in citizenship cancellation, recognizing that the challenges of countering terrorism don’t always fit neatly into domestic criminal process through the courts. But the Committee recommends different approaches to dealing with individuals located in Australia by comparison to those overseas. For those in Australia, terrorism conviction would remain central to any consideration of citizenship loss, while the proposed terrorism conduct provisions are limited to individuals overseas either engaged in terrorism or fleeing terrorism charges in Australia. While this makes administrative sense, for individuals in Australia the bottom line is: would the Committee’s proposed changes prevent another Lindt Café, an ANZAC Day plot or Holsworthy Barracks plot? The uncomfortable answer is: not likely. Ultimately, the only people to be affected by the new proposals are dual citizens, and only those who already have a terrorism conviction carrying 10 years imprisonment. Citizenship revocation wouldn’t, therefore, disrupt Man Haron Monis before the Lindt Café attack, nor the underage alleged ANZAC Day plotters. Two of the Holsworthy plotters—Aweys and El Sayed—however, are dual nationals serving 18 years sentences, so could have their Australian citizenship revoked. However, their ability to access citizenship rights in Somalia and Lebanon, respectively, would need examination, and they could face persecution in their ‘home’ countries. But the lead time that existed in 2011 to investigate and collect evidence to support their convictions is unheard of in the current environment, where plots may be discovered only days or hours ahead of planned execution. Stripping citizenship might provide a tool for punishment, but in its proposed form, it doesn’t directly support disruption. The Committee’s recommendations on oversight and accountability measures are comprehensive. It proposes oversight by the Inspector General of Intelligence and Security (IGIS), review of the legislation by the Independent National Security Legislation Monitor (INSLM) by the end of 2018, advice to the Committee itself whenever the power is used, and six-monthly public reports on the operation of the power. As the IGIS and INSLM weren’t directly involved in the inquiry, their opinions on the recommendations remain to be seen. Such a level of oversight is previously unheard of in the citizenship and migration space, and brings some assurance that loss of citizenship will be monitored and scrutinised. However it also highlights what now appears to be a common response of bringing all available oversight measures into every contentious issue, whether it’s in their existing remit and resourcing, or not. The Committee appears to have provided an effective legislative review. But the need to substantially revise the proposed legislation highlights the limitations of the original policy proposal and draft bill. This activity demonstrates the importance of properly considered policy development, including stakeholder consultation and, in this case, not alienating the broader community—ranging from legal profession  and human rights  groups—who are central to an effective counterterrorism strategy. And after this sensible and considered work, will the Committee’s proposed changes provide any real value in preventing and countering terrorism? Politically, this balanced approach should ensure the Bill is—eventually—passed. But future reviews will likely identify the inadequacies of a tool that has constrained itself to being most effective only after a terrorist attack. Empowering government to remove citizenship from dual nationals who’ve engaged in terrorism is important to protect Australia from terrorist attack and fulfill Australia’s international obligations to limit terrorist freedom of action. But governments—state and federal—and the broader community must put the same effort into bringing Australians together to prevent radicalisation and violent extremism, and to stop attacks occurring. In this context, the bill to strip citizenship should be understood as one small part of an overall strategy, not a fix-all. Jacinta Carroll is director of the Counter Terrorism Policy Centre at ASPI. Image courtesy of dirtymouse.